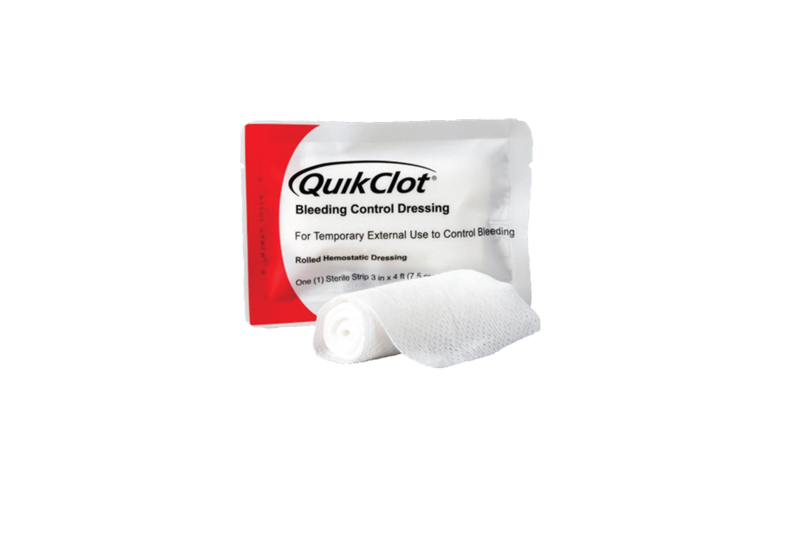 QuikClot® Public Access Bleeding Control Dressing™ is a soft, white, nonwoven, hydrophilic gauze. It is permeated with kaolin, an inorganic mineral that is both safe and effective in accelerating the body's natural clotting process. QuikClot does not use animal or human proteins, and does not cause exothermic reactions. Contains one 3"x4' roll.